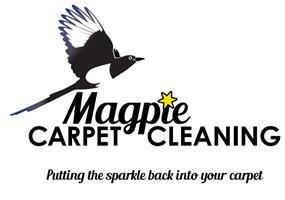 Magpie Carpet Cleaning - Cleaning Services based in Gateshead, Tyne and Wear. A local northeast business providing a friendly and professional service in carpet and upholstery cleaning to both commercial and domestic customers. The aim is to provide a HIGH QUALITY SERVICE AT A FAIR PRICE. ONLY THE HIGHEST QUALITY DETERGENTS are used. The aim is to achieve BEST RESULTS by using BEST QUALITY TREATMENTS & DETERGENTS. The business owner has over 10 years experience in the cleaning industry, having undergone professional training in carpet and upholstery cleaning, leather restoration, repair and cleaning as well as other aspects of the cleaning industry. The highest quality products, machinery and detergents have been selected to provide the best service possible. Based near the A1 in the Team Valley Industrial Estate, customers in Newcastle upon Tyne, Tyne & Wear, Gateshead, Washington, Northumberland & Durham are within easy reach. A friendly service with an attention to detail. Feel free to enquire by telephone or email.